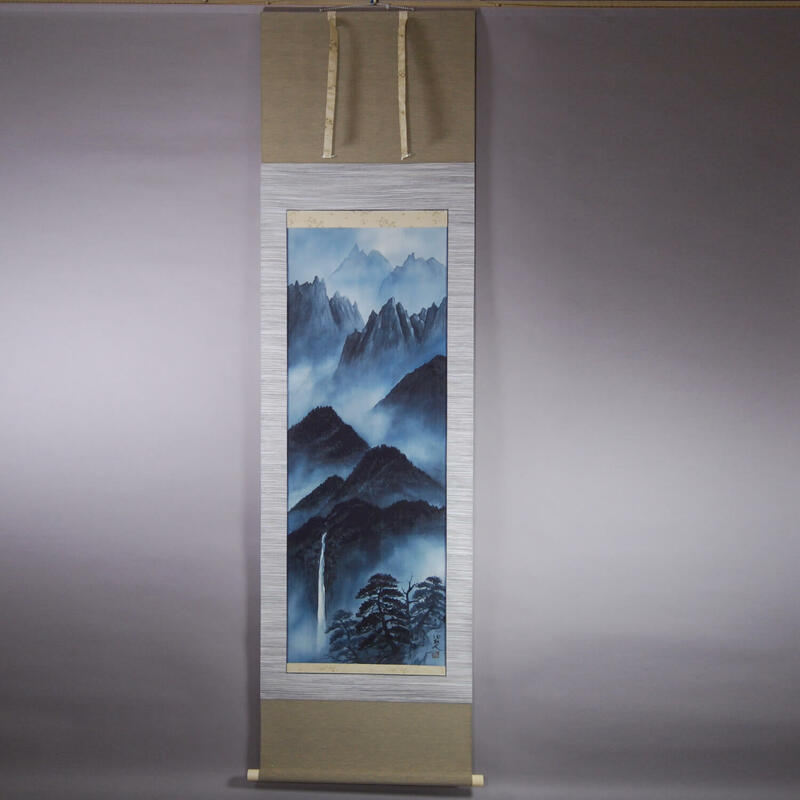 Many Japanese paintings for kakejiku have vertical compositions because “kakejiku” (hanging scrolls) are displayed and appreciated in a “tokonoma” (alcove). In Western art, landscape paintings are usually wider than they are tall, but in Japan, many landscape kakejiku are taller than they are wide. These compositions are very difficult to design. I think there is no other country where so many paintings with vertical compositions have developed since ancient times. This work is painted with ultramarine “sumi” (ink) by Yuri Tezuka. She depicts the steep, rocky mountains with powerful brushstrokes. The mountains are depicted as if they were piled up, which makes them seem steeper. The waterfall feels taller as well. This is a work which utilizes a vertical composition effectively.